Xiaomi Mi Note 2 Launch to Take Place in October end? As per a new rumour, the Xiaomi Mi Note 2 launch could happen at the end of October. After the launch of Xiaomi Mi 5s Plus and 5s, Xiaomi might release its much awaited power-packed phablet soon. Read on. Xiaomi Mi 5s and Mi 5s Plus have been unveiled a few days back. 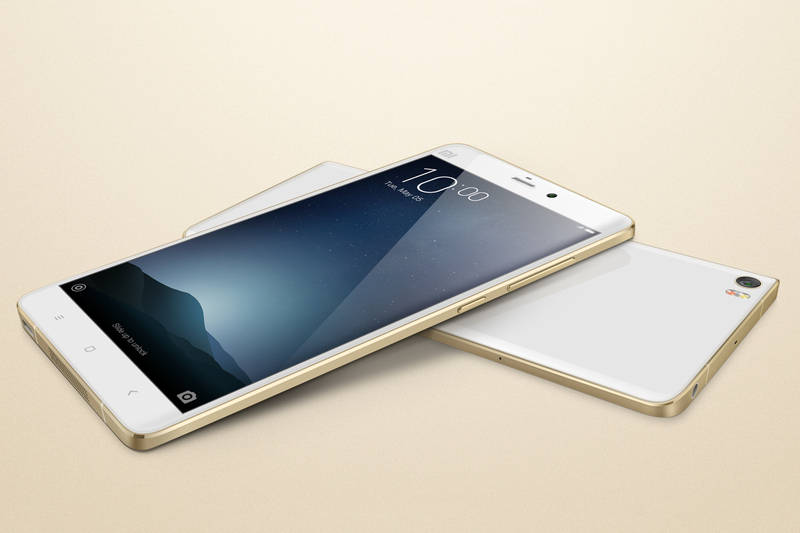 This new range of flagship smartphones comes with giant 6GB of RAM (though for Xiaomi Mi 5s). And the unboxing pictures of these flagship devices give a much more detail insight about the newly launched smartphones. When Xiaomi announced the Mi 5s Plus smartphone at the launch event in China, people were taken aback, because many of them were expecting the Mi Note 2 at that time. Nevertheless, a new rumour has surfaced from a well-known analyst from China, Pan Jiutang. As per Pan Jiutang, Xiaomi Mi Note 2 launch could take place at the end of next month October. Additionally, he also says that there would be multiple colour variants for the much-awaited phablet. Earlier also, we have encountered many leaks for the Xiaomi Mi Note 2 that revealed its specifications and features. And thanks to these leaks, we now know that the Xiaomi Mi Note 2 could sport a QHD display screen of 5.7-inch. The screen is said to be pressure sensitive. Furthermore, the previous leaks also suggest a curved display on either sides of the device to be a major feature on any one of the two variants of Mi Note 2. The Xiaomi Mi Note 2 launch might see a 64-bit quad-core CPU along with Snapdragon 821. The rumours also speak about the three RAM variants, which would be 4GB RAM, 6GB of RAM, and 8GB RAM. As per the leaks, the base model with 4GB RAM would feature a 64GB of inbuilt storage, while the 6GB of RAM model could sport 128GB of internal memory. And the most powerful among these models might sport an 8GB of RAM with 256GB of internal memory. Some of the recent leaks suggested that the Xiaomi Mi Note 2 launch could see a monstrous 3600mAh battery capacity on its different variants. There might be a Qualcomm Quick Charge 3.0 that will be packed with the device. However, all this information is based on the rumours and no official nod has been received yet. But if rumours are to be believed, then the Xiaomi Mi Note 2 launch could become an affordable option for the customers. And if everything lands up like this way, then competitors such as Samsung, LG, and HTC could face a huge competition. But we don’t need to presume things, let’s wait and see if these features are actually incised to the Xiaomi Mi Note 2. Meanwhile, just take a look at the leaked screenshot for Xiaomi Mi Note 2 that we have covered a while ago. We will keep you posted if any new information lands. Stay tuned.